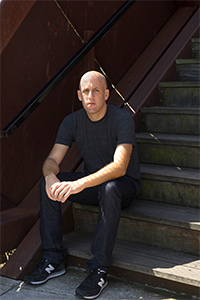 Ethan Brown is the author of four investigative reporting-driven books about crime and criminal justice policy, Murder in the Bayou, Queens Reigns Supreme, Snitch, and Shake the Devil Off, which was named one of the Best Books of 2009 by The Washington Post. He has written for New York magazine, The New York Observer, Wired, GQ, Mother Jones, The Guardian, Rolling Stone, and The Village Voice. He also worked for nearly a decade as a mitigation specialist for attorneys representing indigent defendants facing the death penalty in the Deep South and elsewhere. Ethan is currently the lead editor of The Appeal, which produces original journalism about the most significant drivers of mass incarceration, state and local criminal justice systems. His first book—Queens Reigns Supreme: Fat Cat, 50 Cent and the Rise of the Hip-Hop Hustler—was published by Random House in 2005 to rave reviews in the Boston Globe (“diligently researched and trenchantly observed…a fascinating look at the way one generation’s reality becomes the next’s mythology”), The Village Voice (“one of the first reliable accounts [of the crack era]…the fact that Brown was able to publish so thorough an account is itself notable”) andPublishers Weekly (“A vigorous account of an American subculture that’s colorful, influential and, given the body count, tragic”). Ethan’s second book—Snitch: Informers, Cooperators and the Corruption of Justice—was published by Public Affairs in 2007. The Legal Times wrote ofSnitch that “Many police and prosecutors reading his book (or this review) will surely cry foul. Their cries will too often be proven insincere upon close examination, however, because Brown’s evidence…is overwhelming.” Brown University economics professor Glenn Loury praised Snitch as “must reading for anyone concerned about the future of ‘law and order’ in America.” Manhattan Institute Scholar John McWhorter called Snitch one of the “strongest, smartest” books about race in the past decade. Ethan’s third book—Shake the Devil Off: A True Story of the Murder that Rocked New Orleans—was published by Henry Holt in the fall of 2009. Evan Wright, author of the New York Times bestseller Generation Kill, called Shake the Devil Off “a chilling portrait of a broken hero failed by the system.” George Pelecanos,New York Times bestselling author of The Turnaround, said that “Ethan Brown examines a notorious murder case, rescues it from the talons of tabloid journalists, and comes up with something much more than a true crime book. Shake the Devil Off is a gripping suspense story, an indictment of the military’s treatment of our soldiers in and out of war, and a celebration of the resilience and worth of a great American city.” Paul Sullivan, executive director of Veterans for Common Sense, urged “every military general and every VA leader to read this book to understand how hubris and incompetence in government often leads to massive pain, suffering, and preventable death. Defense Secretary Robert Gates and VA Secretary Eric Shinseki should put Shake the Devil Off at the top of their reading list as a superbly written account of how everything could and did go wrong for a soldier and his family during and after war.” In a starred review, Publishers Weekly called Shake the Devil Off “heartbreaking” and Nate Blakeslee, author ofTulia, hailed the book as “a ‘coming home’ story that rivals any written about veterans of the war in Iraq, and a true crime account that raises the bar for the genre. Measured, thoroughly reported, and written with true empathy.” David Simon, creator of The Wire and author of Homicide and The Corner, said that “looking more deeply at that from which the rest of us turned in horror, Ethan Brown has transformed an ugly and disturbing shard of the post-Katrina anguish. In this book, that which was lurid and sensational becomes, chapter by chapter, something genuinely sad and reflective, something that now has true meaning for New Orleans and for all of us.” In September of 2009, Shake The Devil Off was chosen as a “Critics’ Pick” in the Washington Post and an “Editors’ Choice” by the editors of The New York Times Book Review. In December of 2009, theWashington Post named Shake the Devil Off one of the best books of 2009.